Danish Jews recall desperate escape from Nazis, 75 years on. Freddy Vainer was only four years old when he and his family were forced to flee Copenhagen to escape being deported to Nazi concentration camps, but he remembers it like it was yesterday. "My grandfather was at the synagogue on October 1, 1943 when he found out that he had to flee," he said. That month nearly 7,000 Danish Jews made the desperate journey by boat to neighboring Sweden. Occupied by Nazi Germany since April 1940, Denmark surrendered but retained some independence of its institutions until the end of the summer of 1943, when the Danish government was forced to resign. At first the Jewish population seemed relatively safe, and were not forced to wear a yellow star. But "in September orders from Berlin were being sent to deal with the so-called Jewish question," Cecilie Banke, a researcher at the Danish Institute of International Studies, told AFP. She said that plans were leaked from within the German authorities so Denmark's Jewish population could be warned. "This is the essence of the rescue operation, the Jewish population knew so they could actually flee and since information was leaked, the Danish population could also help Jews to flee," Banke added. "This is the exception in the story of the Jews in World War Two," said Silja Vainer, Freddy's wife. More than 6,500 Jews who mainly lived in Copenhagen left their homes and hid mostly near the coast north of the capital before fleeing by sea, largely to the towns of Gilleleje and Snekkersten. While Freddy and his family hid in a house in the northwestern coastal town of Hellebaeck before finding someone to take them across the water, 197 others were arrested trying to escape. A fisherman agreed to take only five of Freddy's eight-member family. Freddy said he stayed at the docks with his mother and grandmother before finally crossing over. The passage cost on average 1,000 Danish kroner per person (the equivalent today of 2,700 euros, $3,100). "My grandfather also paid for others who didn't have any money so that everyone could flee," Freddy, a former doctor in his eighties, recalled. His future wife Silja was three-and-a-half years old during the exodus. However the people smuggler her family's friends found refused to sail with adults and children together. She had to hide in an orphanage for a few days with her brother and a cousin while her parents made the crossing. "Then one day, some people came and made us take a bath in a big wooden bathtub and then we left," she added. "When we were at the beach, I remember the stones and the sound (of the waves). And then someone took me and placed me in a rowing boat and hid me under the fisherman's net," Silja said in her bright apartment, surrounded by family photos. They were later placed in a trawler en route to Sweden. Silja was reunited with her family upon arrival -- except for her paternal grandparents, who refused to leave Denmark. 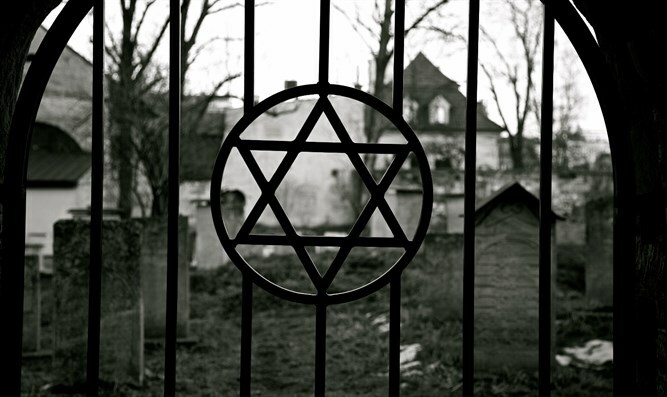 They were deported to the Theresienstadt concentration camp, like about 500 other Danish Jews, 50 of whom died there. However Silja's grandparents returned to Denmark after the end of the war. By the end of September 1943, neutral Sweden had formally offered asylum to Danish Jews and prepared to welcome them. "We fled with almost nothing and were given clothes when we arrived in Sweden," Freddy said. His family members who worked as tailors moved to the Swedish textile town of Boras near the west coast. Meanwhile, Silja and her family moved to the central town of Vingaker. She kept some photos of herself showing a smiling long-haired girl playing with her brother and neighbors at the time. They returned to Denmark after the nation was liberated on May 5, 1945. Neither Silja nor Freddie could return to their old apartments which were rented to other families. But they quickly found new housing. "The municipality of Copenhagen made sure that all the belongings of the Jews, who were forced to flee, were kept in good condition and we recovered everything," added the former teacher. On their way to their first classes at the Jewish School in Copenhagen when they were children, they did not talk about their experience. "One of my classmates had lost his father, a brother and a sister during the crossing, and he never talked about it," Freddy said. In his family, not a word was uttered about their escape and Sweden while for Silja, "we could not avoid talking about it." "I've had nightmares all my life and worked a lot to try to not cry," she said with a sob. "We'll always be refugees."